Host your event in the Goshen College Music Center. 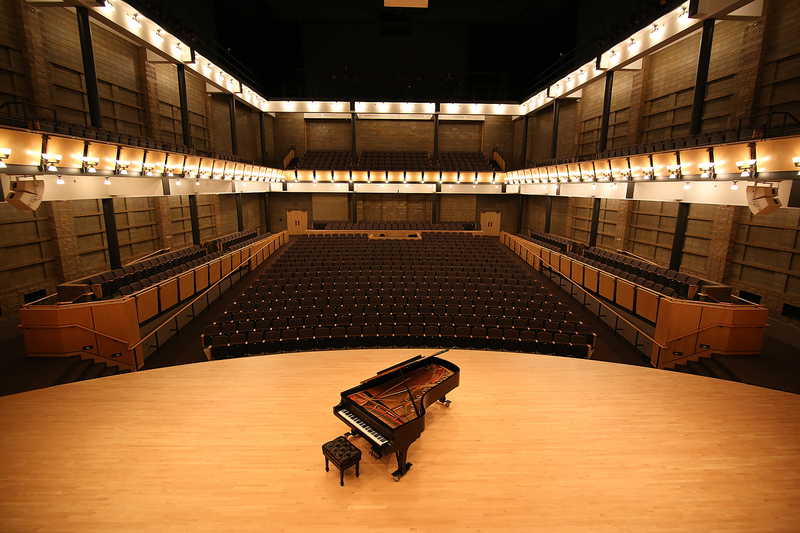 Designed by acoustic experts and constructed to benefit the arts in Elkhart County and beyond, the Music Center at Goshen College is one of the premiere music facilities in the Midwest. The visually pleasing building has received several architectural awards and accolades. Each element of the building was developed with a specific musical purpose in mind – from the concert venues to the rehearsal halls to the central recording studio. Spaces in the Music Center are also used for weddings, banquets, receptions, and seminars of various types. The building’s simple elegance and well-designed space make it a desirable choice for many activities. Contact the Goshen College Office of Conferences and Events for more information at (574) 535-7881 or by email at: events@goshen.edu. Goshen College is a smoke free and alcohol free campus.